Get 2 Pair Dyed Pink and White Cultured Freshwater Pearl Stud Earring Set from JCPenney.com. Get Stafford Year Round Stretch Classic Fit Gingham Sport Coat (Nvy Brgndy Gingham) from JCPenney.com. Get JF J.Ferrar Mens Napoleon Oxford Shoes Lace-up (Gray) from JCPenney.com. Discount : 30% via coupon "MPB330"
Get Stafford Travel Easy-Care Broadcloth Mens Wrinkle Free Stretch Dress Shirt (Blooming Blue) from JCPenney.com. Get JF J.Ferrar Mens Closed Toe Slip-on Oxford Shoes (Brown) from JCPenney.com. Get St. John's Bay Mens Long Sleeve Flannel Shirt (Multiple Color) from JCPenney.com. Get JF J.Ferrar Mens Napoleon Oxford Shoes Lace-up (Tan/Gray) from JCPenney.com. Price Drop! Get Cook 1.2L Ceramic Kettle from JCPenney.com. Get St. John's Bay Stretch Slide Mens Sandals (Black) from JCPenney.com. Get Columbia Flattop Ridge Men's Full-Zip Fleece Jacket (Multiple Colors) from JCPenney.com. Get JCPenney Home Light-Filtering Cordless Cellular Shade (Multiple Styles) from JCPenney.com. Discount : $6.00 via coupon "FAMILY6"
Get Nike Girls Hoodie-Toddler (Blue Chill) from JCPenney.com. Get Nike Women's Gym Vintage Pullover Hoodie from JCPenney.com. Get Cooks 52-Pieces Stainless Steel Cookware Set from JCPenney.com. Get Ballarini Como Forged Aluminum 7 Piece Nonstick Cookware Set from JCPenney.com. Get JF J.Ferrar Red Birdseye Super Slim Fit Sport Coat (Red Birdseye) from JCPenney.com. Get Cooks 52-PC. Stainless Steel Cookware Set from JCPenney.com. Buy 1 Get 2 FREE! Lowest Ever! Get St. John's Bay Womens Irma Wedge Sandals (add 3 units to cart) from JCPenney.com. Get Stafford Corduroy Stretch Classic Fit Full Lined Sport Coat in Various Colors from JCPenney.com. Get St. John's Bay Lightweight Jacket from JCPenney.com. Price Drop! Get 1/10 CT. T.W. Double Halo Diamond Stud Earrings in Sterling Silver from JCPenney.com. Get Home Expressions 27"x52" Solid Bath Towels (Multiple Colors) from JCPenney.com. 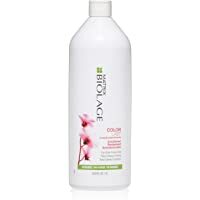 Get Matrix Biolage Color Last Conditioner (33.8 oz) from JCPenney.com. 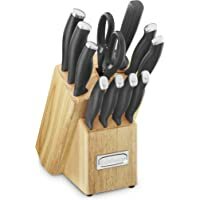 Get Cuisinart 12-Piece Color Pro Collection Knife Block Set (Black) from JCPenney.com. Get GreenPan Lima 12-Pc. 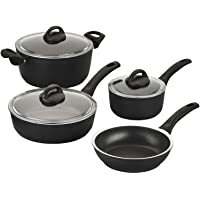 Hard Anodized Non-Stick Cookware Set from JCPenney.com. Get Home Expressions 6 Piece Tiles Complete Bedding Set with Sheets (Gray) from JCPenney.com. Get Columbia Lightweight Fleece Jacket from JCPenney.com. Get JCPenney Home Collection 40 Pieces Dinnerware Set from JCPenney.com. Discount : 15% via coupon "24GOSAVE"
Get Cooks 52 Piece Stainless Steel Cookware Set from JCPenney.com. Get JCPenney Home Collection 40 Piece Dinnerware Set from JCPenney.com. Get St. John's Bay Mens Henley Neck Long Sleeve Thermal Top (Multiple Colors) from JCPenney.com. Get J.Ferrar Men's Velvet Slippers from JCPenney.com. Discount : $3.25 via coupon "4FORYOU"
Get Collection by Michael Strahan Todd Mens Lace-up Running Shoes (Black) from JCPenney.com. Get Hanes Mens Short Sleeve Polo Shirt from JCPenney.com. Discount : $0.87 via coupon "21GOSHOP"
Get Arizona Puffer Vest (Snowdrift Block) from JCPenney.com. Get St. John's Bay Heavyweight Puffer Jacket (Black) from JCPenney.com. Discount : $10.50 via coupon "21GOSHOP"
Super Hot! Get Unionbay Womens Moccasins Slip-on (Multiple Colors) from JCPenney.com. Get St. Johns Bay Mens Long Sleeve Flannel Shirt from JCPenney.com. Get Cooks 21-Piece Stainless Steel Cookware Set from JCPenney.com. Get Home Expressions Nina 10 Piece Comforter Set from JCPenney.com. Get Home Quick Dri Textured Solid Bath Towels (Multi Colors) from JCPenney.com. Discount : $1.50 via coupon "MBL216"
Get St. John's Bay Easy-Care Pleat-Front Pants (British Khaki) from JCPenney.com. Get Liz Claiborne Boucle Hooded Midweight Swing Womens Coat from JCPenney.com. Get 1/10 CT. T.W. Genuine Diamond Pendant Necklace in Sterling Silver from JCPenney.com. 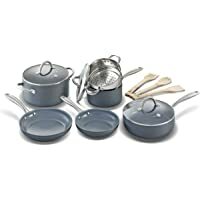 Get 21-Piece Cooks Stainless Steel Cookware Set from JCPenney.com. Get Cooks 3-Piece Cast Iron Fry Pan Set from JCPenney.com. Get 1/10 CT. T.W. Women's Sterling Silver Genuine Diamond Ring from JCPenney.com. 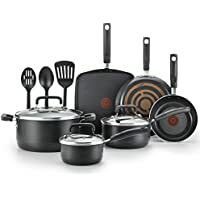 Get T-Fal Signature 12-piece Aluminum Nonstick Cookware Set from JCPenney.com. Get Maples Nora 20"x34" Rectangular Indoor Accent Rug (Navy Green) from JCPenney.com. Get Arizona Basic Men's Original Bootcut Jeans (Several Colors) from JCPenney.com. Get Cooks Hot Air Popcorn Maker from JCPenney.com. Get St. John's Bay Mens Collar Neck Long Sleeve Flannel Shirt (Navy Buffalo) from JCPenney.com. Get Worthington Womens Crew Neck Long Sleeve Pullover Sweater from JCPenney.com. JCPenney was founded way back in 1902. Today; they have over 1,000 locations to serve. They are one of the largest in Apparel and home furnishings retailers of the country. They strongly focus on a world of limitless possibilities to provide customers a truly trustworthy dimension in shopping experience. And the process has remained unchanged till now. They offer products from private, exclusive and national brands from over 1000000 JCPenney associates worldwide. The team at JCPenney always looks forward for the development of world class Omni-channel retailer. They remain committed to building up advancing social, environmental and ethical standards of their operational responsibility.